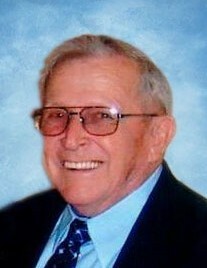 Charles Franklin Weber, 88, of Ellis Grove, IL, Illinois, died January 19, 2019, in Ellis Grove, IL. He was born November 3, 1930, in O'Fallon, IL. He is survived by his life partner Maxine Melching; children Melodye (Leland) Stamm, Carla (Jim) McGuire, Charles "Tim" (Pam) Weber, and Keith (Sherry) Weber; grandchildren Erin (Kurt) Schmoll, Ryan Stamm, Craig (Cheryl) Sanders, Jamie (Paul) Bibb, Gunnery Sargeant Steven (Beth) Weber, Michelle Pherson (Tom Brennan), and Ethan Weber; 10 great-grandchildren; and beloved pet Sweetie. Charles is preceded in death by his parents Charles & Lillian (nee Ellison) Weber and sister Lucille Gabioud.